It's amazing to me how much time and effort it takes to move when there are some issues involved: first, trying to have the energy to unpack more than one box after a full day of work and, second, downsizing from a three bedroom townhouse with a full basement and a garage to a two-bedroom condo. I'm so lucky to have family who are willing to come and help - but I prefer to sort and unpack my own yarn and books. I'm getting a handle on the unpacking, finally, and ready to start blogging regularly again. I'm in a new, to me, city: Airdrie, Alberta. According to Google, Airdrie is 17 miles north of Calgary. It doesn't seem that far, and since I work in the north part of Calgary, I'm sure that the distance is shorter and that Google is measuring from the heart of Calgary.. 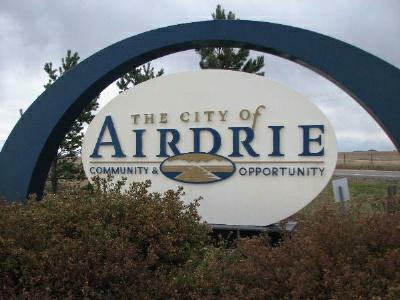 I heard Airdrie described as a bedroom community. My first impressions of the new city are very good and I'm sure that I'm going to like it here. It's a good move. It's named after Airdrie in Scotland, near Glasgow. I've found three locations where knitters meet, one is in a coffee shop just down the street from me. I have yet to visit any of them (did I mention that I'm still unpacking? ), but this week I plan to drop in on the Thursday evening gathering at the library. I'll still continue to go and knit with the ladies at The Loop Kensington, but will switch to their Wednesday group so I can go to both. 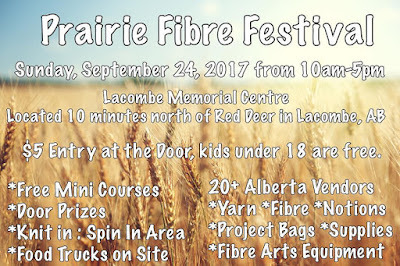 Over the past few years I've been learning about more and more fiber-related activities that aren't too far away. 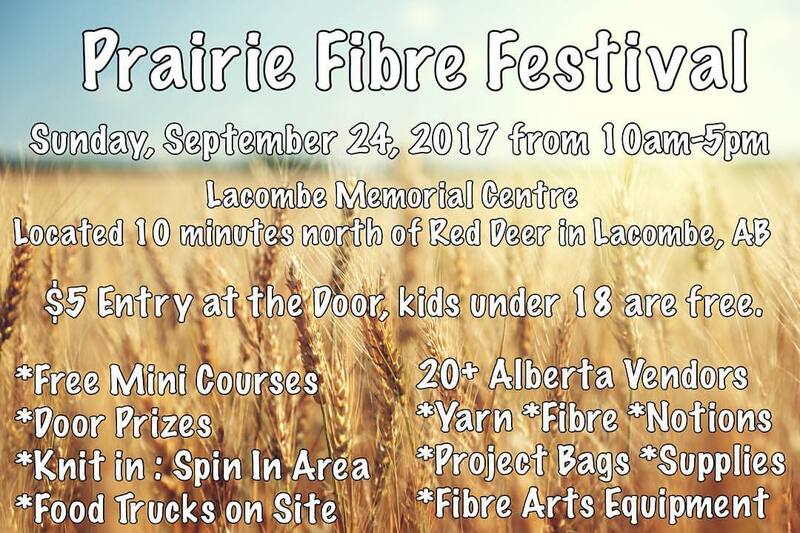 Tomorrow, I'm heading about 89 miles north to the city of Lacombe for the first, ever, Prairie Fiber Festival. The weather is supposed to be good and I'm looking forward to the raod trip. More on that, next time....!